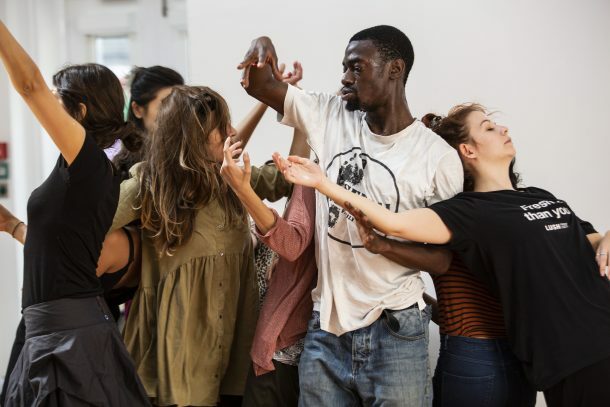 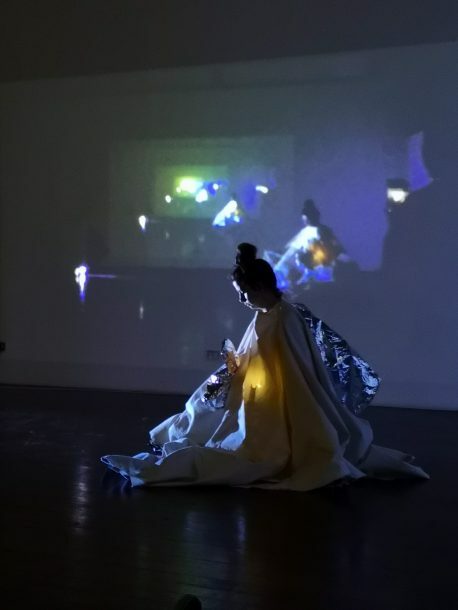 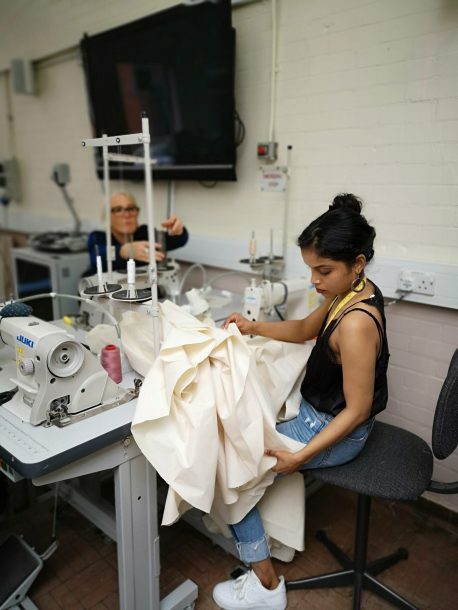 During the first week of September East London Dance and London College of Fashion invited 13 participants from across Costume & Fashion, Dance and Creative Technology, to take part in our second year of the innovative Creative Lab programme at Arcade East in Hackney. 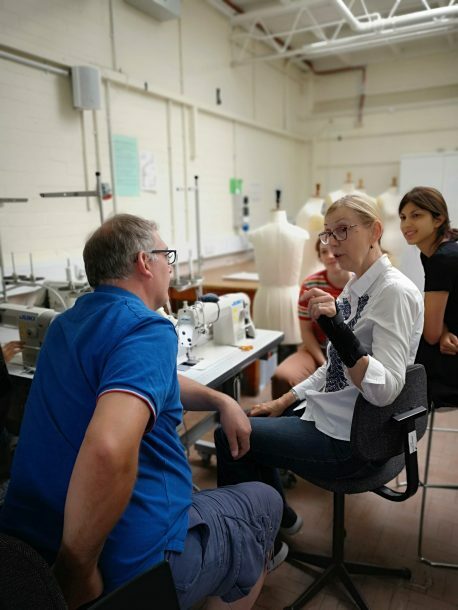 During the six day programme participants got stuck into practical workshops exploring 3D printing, virtual reality, projection mapping alongside choreographic practice, trying their hand at pattern cutting and learning how to use an industrial sewing machine. 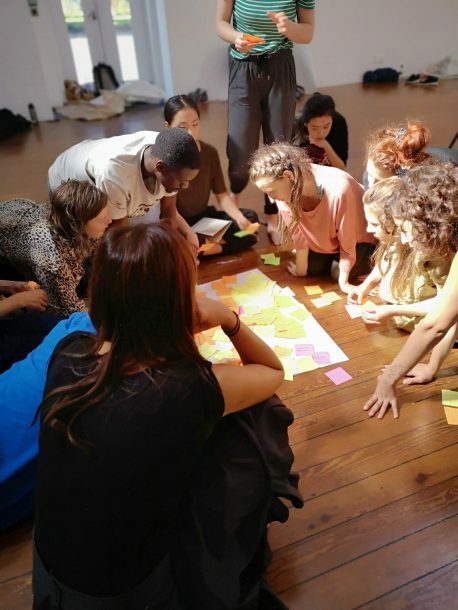 The whole week was designed to foster collaboration and from day one participants worked together in their mixed disciplines, playing and experimenting with new skills and technologies. 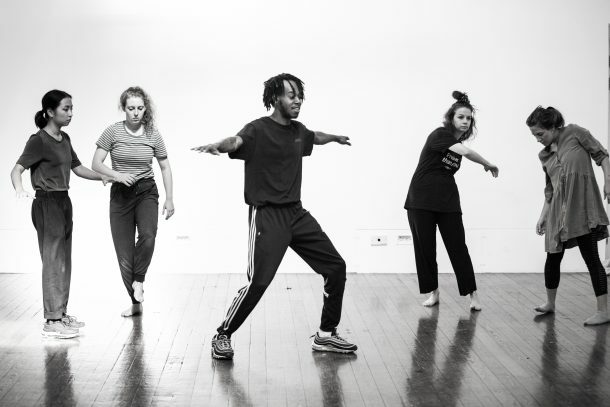 Towards the end of the week, they worked on progressing their ideas and prototypes with hands on practical advice and guidance from our expert workshop leaders including choreographer and Crxss Platfxrm Artistic Director Ivan Blackstock. 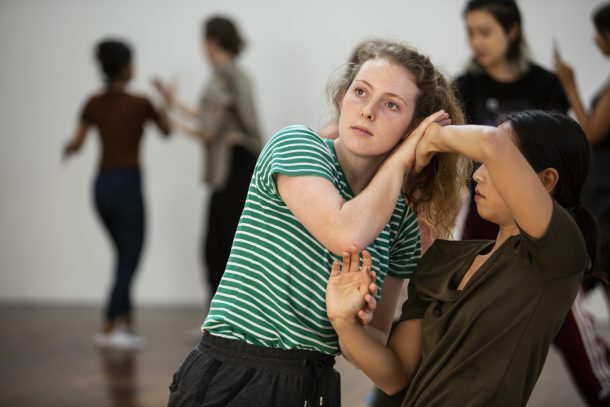 The week saw some incredible ideas come to fruition, from the creation of interactive elements for a new children’s show, to a virtual ” dance game” where the audience is in control, an interactive costume exploring themes of touch and a beautiful performative “sculpture”. 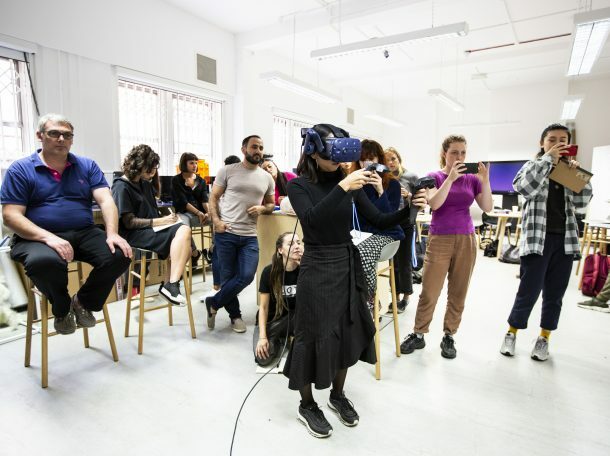 Creative Lab 2018 concluded with an informal sharing where members of the public came to get first-hand experience of the beginnings of these exciting ideas formed throughout the programme.